(Blade: Vampire Hunter II#3 (fb) - BTS) - S.H.I.E.L.D. sent some of their agents to the secret Silvereye division. They were taught everything they had to know about vampires. 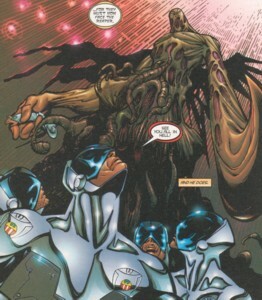 (Blade: Vampire Hunter II#1 (fb) - BTS) - At some point Silvereye obtained Blade after he was bitten by Morbius. They planned to turn him into an agent of Silvereye. Silvereye orchestrated a simulation to test Blade's fighting skills after he was turned into a Daywalker. With the help of their agent Hrolf several vampires were lured to a cemetery were Blade was buried. (Blade: Vampire Hunter II#1/1) - Above from Blackeye 1 vampires were observed when they dug up Blade from his grave. Blade's vitals were good and everything was under Silvereye's control. Commander Dallas authorized his men to wake Blade up after asking Venginian for permission. The newly born Daywalker immediately attacked the vampires that dug him up. When more vampires led by Hrolf arrived at the cemetery Commander Dallas was informed about it, but he didn't activate Silverfang 1 yet because Venginian wanted to see Blade fight. Somewhere else on Blackeye 1 Blade's allies Mikado and Mosha knocked out two guards. One guard was killed because it was a vampire. They entered Commlab 51, but unknown to them an alarm went off. Dallas still waited for Venginian's order to sent Silverfang down to the cemetery. In the cemetery Blade's allies Tinker and Rank contacted Blade and asked him to follow them. Venginian now allowed Dallas to send Silverfang 1 to the cemetery. Another Silverfang unit was sent to Commlab 51. Dallas then ordered to shut off the alarm. (Blade: Vampire Hunter II#1/2) - Dallas was still informed about Silvereye's progress on ground and on the ship. Blade was okay and continued to kill all vampires, Blackeye 1 was secured and a Silverfang unit was on its way to get the intruders in Commlab 51. Silverang 1 started an air assault on the vampires in the cemetery. Around the same time in Rome, Italy Eyagents observed the arrival of Saracen, Boy and Purebloods at the Coliseum. Back on Blackeye 1 a Silverfang unit found Commlab 51 empty. The intruders left through an air vent to Blackeye's hull. In the cemetery Silverfang 1 landed and their leader Lt. Nathan Paul ordered to circle the vampires and destroy them. 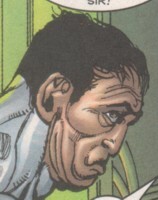 Two Silverfang agents tried to kill Blade because they were vampires themselves. Meanwhile Hrolf sent his vampires to their death against Silverfang 1. Silverfang 1 took the vampires out with simultaneous air and ground attacks. On Blackeye 1 Dallas was informed that everything was out of control in the cemetery, but he didn't call his men back. Hrolf met with Silverfang 1 members because he was one of them. Rico and his partner were stopped from killing Blade by another agent. They shot him and continued their hunt after Blade. On Blackeye 1 Dallas was informed that the intruders infected the Prometheus Program with a virus and that they escaped to the ship's hull. He was also given the info on the shooting between agents and that the explosion caused by the intruders damaged the ship's port stabilizers. Dallas ordered to purge the system and to let the dogs out to hunt the intruders. In the cemetery Blade killed Rico and the other vampire Silverfang agent. The burning bodies were found by other agents and they immediately informed Blackeye 1 that two of their men were vampires. Mills began to worry about Commander Dallas because he was bleeding from his eyes. The dogs found Mikado and Mosha on the hull and they had to jump from Blackeye 1. (Blade: Vampire Hunter II#2) - Silverfang agents jumped into the grave in which Blade was drawn by Rank and found a tunnel system below the cemetery. 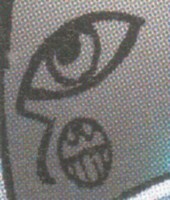 On Venginian's Diva Complex two Eyeagents were overpowered by Mikado and Mosha. They took their uniforms and a pilot brought them to Blackeye 1. In the cemetery Hrolf talked with Nathan Paul and other Silverfang agents about the simulation. Blade suddenly ran towards them and they brought out the Freak to deal with him. On Blackeye 1 everyone hoped that the Freak would stop Blade. The Freak used his psychic powers and took control over Blade. Back under Silvereye's control Blade willingly went with them. Aboard Blackeye 1 everyone was happy that the simulation was back under control. At the same time the virus was purged and the Prometheus Program was back on line. Tinker, who tried to stop Blade from leaving with Silverfang 1, was caught by other Silverfang agents. In Rome, Italy beneath the Coliseum a Silverfang unit attacked the Ancient and Purebloods. They were after Saracen, but Boy just deflected their bullets and soon they were surrounded by Purebloods and had to retreat. On their way through the catacombs they lost contact with their scouts. They soon found them again slaughtered by Reaper and his girls. Then they became Reaper's victims as well. Meanwhile Mikado and Mosha arrived again on Blackeye 1. For Dallas everything seemed to be under control again. Mikado and Mosha deactivated the cameras near Lab A5 and tried to get into it by talking to the guards, but they didn't let them through. They killed the guards because they were both vampires and entered Lab A5 were they seemingly found Blade held in a containment tank. (Blade: Vampire Hunter II#3) - An alarm went ff on the bridge because the two intruders were back and this time in Lab A5. There Mikado and Mosha freed Subject AA2, but it wasn't Blade. Dallas bled more from the eyes and was contacted by Venginian about a meeting with him in Jersey City. Dallas was informed that Blade was lost again and that all cameras in Lab A5 were out. Dallas sent Hrolf out to find Blade again. 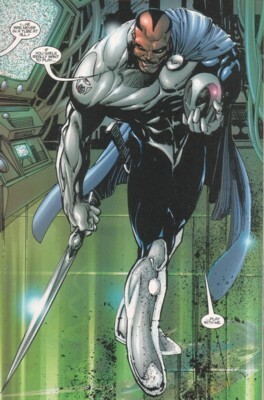 Blade, who was now serving Silvereye as a Silverfang agent, went to Lab A5 and confronted the intruders Mikado and Mosha. In the cemetery Silverfang agents hunted Rank through the tunnels below the cemetery. Meanwhile Dallas contacted Silverfang 1 and 2 about their current location. Some agents found the burning bodies in front of Lab A5 and they realized that vampires were among them. They asked Dallas for help as soon as possible. Inside the lab Blade fought the twins, who tried to remind him of his true past. Mills got more concerned about the whole operation and talked with Spencer about it, but like before Spencer told him to shut up. An Eyeagent entered Lab A5 to see what was happening inside, but Blade told the agent to leave. Moving backwards the agent ran into Hrolf, who took his headset to inform Dallas that Blade was just fighting the twins. Controlled by Freak Blade knocked out the twins, but didn't kill them because he lusted for their blood. Hrolf realized this and let Freak tell Blade to drink Mikado's blood. (Blade: Vampire Hunter II#4) - Blade was ready to bite Mikado, but Patriot interrupted him. He was taken care of by Blade and Hrolf. Silverfang 1 and 2 returned and Dallas was informed that the sun would rise in 24 minutes. In the cemetery a few Silverfang agents were still looking for Rank in the tunnels, but they missed him and left. Blade regained his memories when Mikado uttered the word mother and opposed Hrolf, who had the smell of Deacon Frost on him (read Hrolf's profile). Blade mocked him and Hrolf wanted to bite Mikado on his own. In Blackeye's control room Dallas condition got worse. Venginian was still in contact with him and wasn't pleased with the situation on Blackeye 1. Mills, Spencer and other Eyeagents watched Dallas. Silverfang 1 was back on board and entered Lab A5. Inside the lab Blade killed Freak and threatened to kill Hrolf as well. Silverfang 1 entered, but Hrolf told them to stay back because he wanted to fight Blade on his own. They followed Hrolf's order and contacted Commander Dallas, but Dallas seemingly died of an aneurysm. Venginian now took control of Spencer and he became the new Commander. His good friend Mills looked worried when Spencer began to bleed from his eyes. Spencer ordered to gas Lab A5 and to blow an incoming unknown flying object from the sky. Hrolf took a gas mask from a Silverfang agent when the lab was filled with gas. Hrolf laughed when he heard that Spencer was now the Commander. Nathan Paul informed Spencer that Blade, Patriot and the twins were gone. When the unknown object hit Blackeye 1 Commander Spencer was informed about it. He wanted a visual, but it was too fast. It entered Blackeye 1 and went straight to Lab A5. It was the Reaper and Nathan Paul ordered his men to take it out. (Blade: Vampire Hunter II#5) - On Blackeye 1 a battle ensued between Reaper and Silverfang. All Silverfang members were killed by Reaper and his girls except for Hrolf who hid from them. 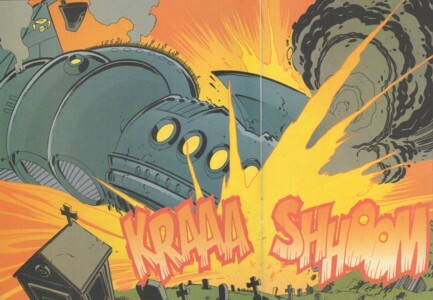 Outside Lab A5 Eyeagents overheard the fight and realized that Silverfang 1 was dead. Reaper and his girls found Hrolf, but let him go because he had the ancient smell upon him. In the Blackeye control room Commander Spencer informed Venginian about their problems with an unknown intruder (Reaper). While he was doing this an explosion was felt (Mikado's proximity bomb) that destroyed Blackeye's starboard rudder control. It was attempted to reroute the power from somewhere else, but the fire already tore through deck 5. Venginian ordered Spencer to deal with the intruder after he heard the creature's description. Hrolf and several Eyeagents were sent back to the Reaper. Blackeye's guidance and technical systems were taken out by smaller explosions caused by the spreading fire. Blackeye was going down. Spencer ordered to send the ship out to the water and abandon it. The alarm to abandon the ship started and all agents on the ship ran to the escape pods. The autopilot was locked in by Herbert Mills and he told Spencer that it was time to go, but Spencer wanted to stay. Hrolf and some other vampire agents left the ship together in an escape pod. Mills stayed because he was concerned that Spencer was going to do something bad and hid to observe Spencer's actions. Mills was shot by Spencer when he made the mistake to talk to him. Afterwards Spencer changed by Venginian's order Blackeye's course back to Jersey City to crash the ship into populated area. (Blade: Vampire Hunter II#6) - Spencer entered Blackeye's new course and destroyed the ship's controls. When Blade entered the room Spencer shot himself in the head. Blade still managed to redirect Blackeye 1 to the cemetery where he was found not too long ago and crashed the ship there. Meanwhile Hrolf and his vampire pals flew like many other agents in escape pods to the Diva Complex. They saw Blackeye's crash and Hrolf killed the other vampires when they annoyed him. Comments: Created by Bart Sears (writer/pencils), Raymond Krissing & Andy Smith (both inks). First sketches of Frank Dallas and Blackeye 1 were seen in Blade: Vampire Hunter II#½. It is really hard to tell Silvereye agents apart. Only few were named and when they were named like Joe you couldn't tell which guy it was. Silverfang were even harder to tell apart because they wore helmets. The first time I read the first issue I thought Nathan Paul was killed by Rico and his partner, but he returned (at least I think it was him) throughout the series. In Blade III#12 a prophecy was fulfilled that brought back all vampires that ever died. This most likely included the vampires in the ranks of Silvereye as well. We'll have to wait if they resurface. S.H.I.E.L.D. 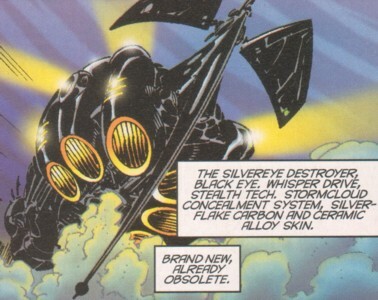 Helicarriers, because Silvereye was a sub-divion of S.H.I.E.L.D. any other dogs, werewolves, etc. The Silvereye Destroyer Blackeye 1 possessed whisper drive stealth tech, a stormcloud concealment system, silverflake carbon and ceramic alloy skin. Like S.H.I.E.L.D. 's Helicarrier it was filled with the most sophisticated technology of modern times to fulfil its prime goal to hunt down and observe the growing vampire activities. After a few explosions at critical points and many fires it crashed into a cemetery. He was the executive officer and operational leader of Silvereye. He was a tough, cold and decisive man. Although he was the Commander he always had to question Darius Venginian for permission. This happened through his psychic connection to Venginian which made nothing more than a puppet. This connection made at first Dallas' eyes bleed and ultimately caused his death. He was suposedly trained in armed combat and tactics. He was very likely a former S.H.I.E.L.D. agent. Originally Spencer was an Eyeagent in Blackeye's control room. His colleague Herbert Mills often told Spencer his concerns about the whole Silvereye operation, but Spencer always told him to shut up. He served Commander Dallas until his death and never questioned his orders. After Dallas' death Venginian established the same psychic connection to Spencer he had with Dallas before and Spencer became his new puppet. Like Dallas it caused Spencer's eyes to bleed. 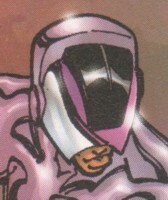 Spencer nearly crashed Blackeye 1 into Jersey City, but he shot himself before it happened and Blade was able to change Blackeye's course to an unpopulated location. Spencer was a trained S.H.I.E.L.D. agent, who was sent out to join their sub-division Silvereye. They were the normal agents of Silvereye. They were mostly used for monitoring duty, computer work, as guards on board for less important areas and more scientific jobs. Some of these agents aboard Blackeye 1 were vampires, but this wasn't known to the majority of Silvereye's agents. Mikado and Mosha once posed as Eyeagents. Many of them were former S.H.I.E.L.D. agents. Spencer's good friend Herbert Mills was an Eyeagent first class. He often talked to Spencer about the strange things he noticed about Silvereye. He was concerned about all those things like vampires in their midst, bleeding eyes, monster dogs and such things. Spencer never liked to listen to Herbert's concerns. Herbert was shot by Spencer before he tried to crash Blackeye 1 into Jersey City. They were the elite force for Silvereye. Trained and equipped to deal with the vampire menace. There existed at least three Silverfang Units and they operated all over the world. They showed their skills against vampires in the cemetery were Blade was captured by them with the help of Freak. But it became obvious that they were not good enough to deal with more powerful vampires like Purebloods or Ancient when a whole team was slaughtered in Rome by the aforementioned vampires and Reaper. Silverfang 1 also became victims of Reaper onboard of Blackeye 1. It is unknown if any Silverfang members survived or escaped from Blackeye 1 before it crashed. 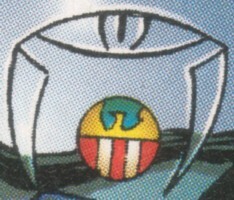 Some members of Silverfang were vampires as seen in the cemetery. Most of the others were supposedly former S.H.I.E.L.D. agents. The leader of Silverfang 1 was a tough, proud and competent man, who hated vampires. Like all other members he was trained to fight vampires. He wasn't aware that some of his team were vampires themselves. With the help of Hrolf and Freak his team was able to capture Blade. Later on after another mission he had to return quickly to deal with Blade, who was hostile again. Hrolf didn't want Paul and his team to interfere, so Paul contacted Commander Dallas, but Dallas was dead and the new commander Spencer flooded the lab with gas. When the gas was gone again a new threat entered the lab in form of the Reaper. Paul told his men to attack, but after a short and brutal battle Nathan Paul and his whole team were dead. Like many other Silvereye agents Paul was supposedly a former S.H.I.E.L.D. agent. 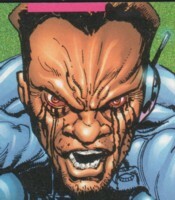 Rico was one of two known vampires, who served with Nathan Paul's Silverfang unit. In the cemetery they tried to kill Blade and when another Silverfang agent tried to stop them, they shot him. Blade killed Rico and his partner soon afterwards and the vampires' burning body was found by other Silverfang agents. They immediately informed their Commander that they had been infiltrated by vampires. Two of these monstrous dog-like monsters were released from Containment Zebra 4 onboard Blackeye 1 by Commander Dallas' order. They hunted Mikado and Mosha on Blackeye's hull and succeeded in getting them off the ship. One of them even jumped after Mikado and slashed through her parachute to assure her death, but Mikado survived with her sister's help. The nature of those monsters is unknown, but they were possibly werewolves or vampires in canine form. They weren't killed easily as seen by their confrontation with the twins. They took several bullets and didn't stop going after the twins. This and the fact that one of them just jumped off an airship suggests that they possessed some kind of high-level healing factor. They weren't invulnerable because blood squirted from their wounds.